You’ve slaved through college, started working a 9 to 5 job, and now you have some money that you don’t know what to do with. You never learned this in school, and now you need to know what to do! You scour the internet and find thousands of different articles and advisors touting different options. After reading for hours, nothing. Before you drive yourself crazy about what you should be doing with your money, take a step back and breathe. You’re probably doing an amazing job earning money, now it’s just tweaking things so that your money works for you. The problem is options – there are so many different options and ways to save. Luckily, you can work through this problem with focus and dedication, and a few minutes of your time. The next 20,000+ words will teach you, step-by-step. You’ll do more than just understand how to save for retirement – you actually will! To get started, all you need to do is be ready to learn! Part I: Why Start Now? A young recent college graduate, age twenty-five, finds his first employment after college. Although he may only be eligible for an entry-level position with a company, he sees the opportunities for promotions and upgrades down the road. Ultimately, this job will be worth it in the long run. The company offers him a reasonable salary, but not anything to brag about. A retirement consultant approaches him and talks with him about pulling money out of his check every month to send to his retirement fund. With student loans now due and other traditional expenses, he opts out of retirement for the time being. He reasons that paying off his student loans will help to save him more money in the long run, allowing him to start contributing to his retirement in five or ten years. This will still leave him at least thirty years to save for retirement. This has become an all to familiar scenario for recent college graduates. You will find yourself giving excuses – some of them very valid excuses – to wait to save until situations improve. So then, what is wrong with having this kind of attitude? Every retiree has a number goal – an amount of money they hope to have saved when they retire. This number can be generated using a couple different methods, but ultimately, think of setting your own goal based on the following statement. At the time of retirement, you should not have a reduction in your quality of life. Here’s a little more insight into this idea. The last few years of working, you will get used to a certain quality of living. The salary you are awarded from your job defines that standard. This quality of living will include things like cars, homes, vacations, monthly spending money (i.e. play money), etc. After retirement, your salary no longer comes each month, so where is your living allowance? Retirement. Whatever retirement money you have currently saved, will determine if your quality of life can stay the same. During retirement are your house and car payments still affordable, or are they too expensive for the monthly budget? If every year, you and your spouse plan a certain vacation, does it still fit in the budget? Is the monthly play money you used to allow yourself staying the same, allowing for movies, extra shopping trips, mini-getaways, etc.? Ultimately, your goal should be that the lifestyle being led at sixty or sixty-five pre-retirement should be the same lifestyle continued after retirement. If quality or standard of living must change, then there was failure to save the appropriate amount of money. This doesn’t necessarily mean that you’ll need to receive the same paycheck during retirement that you received your final years working, in fact for most people it is less, but that doesn’t mean the quality of life changes for them. They can still live in their current home, but consider that perhaps it is paid off. The same could apply for cars. But perhaps the most important thing to consider in your monthly budget is that you’ll no longer need to contribute any money into your retirement, since you are living it! For most people, the closer they get to retirement, the more they invest in their retirement accounts. As we get older, our lives tend to become simpler rather than more complicated. Things like children and all their related expenses tend to be removed from the budget. Perhaps you are able to pay off your home, cars, and other toys that you had monthly payments on previously. Thus, there tends to be a surplus in your income, and most people, as they are anticipating retirement, contribute that surplus into those accounts. Now let’s say that everything in this budget is to stay exactly the same when Jared and Danielle retire – except their retirement contribution. If everything were to stay the same, including putting away $1,000 each month into savings, Jared and Danielle can live comfortably on 65% of their pre-retirement monthly income now that they no longer need to save any more for retirement. Perhaps it is hard to think now, in your twenties, what type of lifestyle you will have when you are in your sixties, but thinking about basic needs and what you spend your money on now will essentially be the same. You will still have a rent/mortgage payment to take care of your housing. You’ll still need to eat, so you’ll have a grocery budget, you’ll probably have a car or two, perhaps a toy like a boat or RV, etc. The difference between your budget now and your budget in the future is that you will have more money to spend on things in the future. However, the things you enjoy now probably won’t change. If you love movies, you will still go to the movie, but whereas now you only go on opening night every once in awhile because you don’t like to shell out the money for a first-run movie, in the future you won’t mind spending the extra money to see a movie during opening weekend or before it hits dollar theaters. Essentially you’ll end up spending your money on the same things just in larger quantities. Of course that’s not to say you won’t pick up other hobbies as you get older, golfing for example. And we all know that golfing isn’t a cheap sport, so you’ll make room in your budget to include golfing. This may mean you don’t go to movie as often or you don’t have a boat payment. Regardless, all of the principles still apply. There are also online resources to help you determine the amount of annual money you’ll need at retirement. By using percentages and general ideas about the US population, they can help you decide how much you will need at retirement. It may seem overwhelming at first, but it doesn’t need to be. There are some key things to understanding retirement. Being knowledgeable and prepared at a young age will ultimately help you plan for retirement. To see the general idea of a retirement calculator click here. Remember that you may not understand all of the parts about retirement that they ask you to know. We will explain each of them through out the book, so revisit this calculator after reading to give yourself a better and more accurate representation of how much you’ll need. In the introduction, we looked at an example showing a typical college graduate faced with the decision to start saving for retirement now or put it off for a few years down the road. Understanding the benefits of saving now, might sway his and your decision to start with the first paycheck. Although there are many different retirement programs available (discussed individually in subsequent sections), the following example will help to illustrate a basic retirement saving principle. Let’s take for example two employees at the same company. George chooses to contribute $100 every month from his first paycheck, or $1200 a year. He starts saving at the age of 25 and plans to retire at 65, thus giving him 40 years to contribute. For the sake of the example, George is going to continue to only invest $100 a month for forty years. Now, let’s look at a second employee, Jane, who chooses not to invest her money into retirement when she first starts working. Unlike George, Jane waits five years, at age thirty to start saving. She contributes the same amount, $100 each month, but now she only has 35 years instead of 40 to save her money. What is the difference in their two lump sums at the age of 65? George will have saved just over $310,000 while Jane will have only saved $206,000. That five year’s difference cost Jane $100,000 in her retirement. How does this happen? Compounding Interest. This is something you were probably taught in junior high or even elementary math, and had that thought, “When will I ever use this?” – well here is the real world application. A little refresher on interest in general. When you put money into any kind of a savings account, whether it is the traditional savings account at the bank, or a retirement savings account (401k, 403b, etc. ), the institution or company you save with will give you an interest rate. Interest is money that is paid to you at particular intervals based on a percentage. It is sort of like a bank’s way of saying “thank you” for putting your money in their institution. 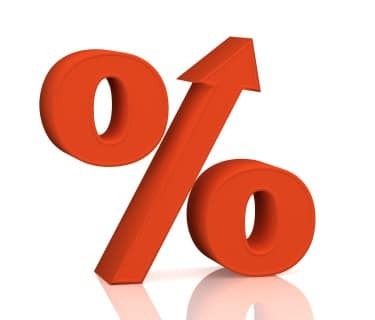 When it comes to interest rates, an account that allows you to put in and take out your money at any time will have a lower interest rate than an account that has limitations. This is the case, because the savings institution where your money is placed can always count on your money to be there – therefore giving them the freedom to use it for other purposes. For example, if you have a money market account that has a minimum balance of $5,000, then you’ve told the bank that at all times you will have at least $5,000 in that account. They then, knowing that you will always have $5,000 in the bank, can give someone else a loan for $5,000. When you decide to close your account, they will do the same for you, giving you back $5,000. Because they can guarantee your money will be there, they reward you by giving you a higher interest rate. Other accounts like CDs or Education Funds have a time limitation as well on them before you can touch the money. Therefore, the bank knows that the money in those types of accounts won’t be accessed until a designated time. These accounts also have higher interest rates. There are two types of interest that you could see when saving your money, simple and compound. Simple interest, is interest paid only on the principal amount; whereas, compounding interest pays interest based on the principal amount and the interest accrued. Let’s better understand this idea with an example. Let’s say you have $10,000 sitting in your bank account. The bank tells you that they work on simple interest, paying you once a year. The interest rate is 5%. ?? = 10000*(.05)*(1) with the answer being 500. So every year you keep your money with that bank, you’ll see an increase of $500. So consider if you wanted to see what would happen to your money in 20 years. ?? = 10000*(.05)*(20) with your final answer being 10000. Now remember this is the amount of interest you will have accrued in 20 years. So your ending balance will be $20,000. Not too bad, right? Well let’s look at the same numbers, but with compounding interest, rather than simple interest. Essentially, the first year will remain the same. You’ll still receive $500 in interest at the end of the year, but here is where the bonus comes. As you start the second year, you build interest on $10,500 rather than your original principal amount. And each year going forward will be the same. You will continue to see the amount of interest you earn increase as your principal + interest increases. ?? = 10000 x (1 + .05)20 with your answer being $26,532.98. Pretty stark differences, right? (Note: the value you receive in the second formula is all of the money, not just the interest.) Regardless, you’ll see that with compounding interest, you have earned an additional $6,500. To play with a compounding interest calculator, click here. This calculator will allow you to spend some time seeing the differences between simple and compounding interest. Retirement plans, like a 401k or 403b, all work with compounding interest. This is one of the major factors that influenced how much money was saved in our earlier example with George and Jane. By using the principle of compounding interest effectively, George was able to accumulate $100,000 more than Jane, simply by starting five years sooner. It may be hard for you to think about retirement now, in your twenties, but you’ll find that it’s much easier to start now than later. By waiting even a year or two, you’re costing yourself large amounts of money in the long run. Thus, even if you can only spare $100 a paycheck, it will be worth it. Consider this scenario to better understand starting now rather than waiting until later. There are four individuals all investing the same amount of money. Each individual contributes money into their retirement for ten years, then stops and simply lets the money grow until retirement. Investor #1 contributes $5000 a year starting at the age of twenty-five. Investor #2 contributes $5000 a year as well, but starts at the age of thirty-five. Investor #3 contributes $5000 a year, and starts at the age of forty-five. And finally, Investor #4 contributes $5000 a year, starting at the age of fifty-five. They all plan to retire at 65 and each is receiving an 8% rate of return on their account. Investor #1 – After ten years, the total will be $72,431. From the age of 35 to 65, Investor #1 contributes nothing else, and just leaves his money to grow. At the age of 65, Investor #1 has $728,848 saved in the retirement account. Investor #2 – At the age of 45, Investor #2 also has $72,431, but now only has twenty years to watch it grow. At the age of 65, Investor #2 has $337,597 saved in the retirement account. Investor #3 – When this Investor stops contributing at the age of 55, the total is also $72,431, and has ten years to grow before retirement. At the age of 65, Investor #3 has $156,373 saved in the retirement account. Investor #4 – Now Investor #4 contributes and saves for ten years, but after ten years, this Investor plans to start using the money. Thus there is no time for the money to “continue growing” after the contributions stop. So Investor #4 has saved $72,431 in the retirement account. By looking at each of these investors, you can see how starting young can make a huge difference. Each of these investors contributed the same amount of money into their retirement – $50,000 ($5,000 x 10) – but their ending balances were widely different based on the amount of time the money grew in the account. Thus remember that time is your friend when saving for retirement. Let’s look at one final example to help illustrate the point. At twenty-five, you have just graduated from college, finding your first job making $65,000 a year. When you first start your new employment you meet with a retirement representative to set up a 401k. This retirement rep convinces you to contribute 15% of your annual income every year to your retirement. (As your annual income increases, so will your retirement contributions.) So your first year, you will be contributing $9750 or just over $400 a paycheck into your 401k. Remember your paychecks are over $5000, so $400 is a small amount. If you continue to make these 15% contributions every year, at age 65 you will have $3,047,998 saved in your 401k. (We are assuming a few things, like your interest rate and inflation costs.) Remember although three million sounds like a lot of money, you’ll need to live on that for somewhere between 25 and 35 years. So divided into each year, you’ll have $122,000 to live on. Now let’s take the same scenario, except when you meet with that retirement rep you decided to wait a few years until you feel more financially stable. Now remember you need to save at least three million dollars, but now you’re starting to contribute to your retirement at age thirty instead of twenty-five. Let’s do the math and see what that does to your monthly paychecks. By age thirty, you will probably be making around $79,000 after yearly raises (we are assuming a 4% yearly increase). In order to achieve the same goals of having three million at retirement you’ll need to contribute 19% of your annual salary to retirement. That means your fifth year working, at age thirty, you’ll contribute $15,000 or $625 a paycheck. In other words, by being willing to contribute now, you’ll save yourself 4% of your paycheck in the coming years. Now like we talked about before, if you can’t afford 15% right now, figure out what you can afford even if its only 3% or 4%. Then as you pay off other debt and become more financially stable, you’ll be able to increase your contributions to 15%. Although financial planners and retirement representatives are helpful, the initial planning process is something you can do yourself. Here are the first steps to figuring out your retirement needs. Decide how long you will need retirement money – this involves two things. First you’ll need to know your life expectancy. You can use online life expectancy calculators to help you determine this, or you can make a good educated guess based on the health of parents, grandparents, etc. To use an online life expectancy calculator, click here. The second decision you will need to make is at what age you are going to retire. Most people like to retire around age 65; there are even some industries that force retirement at this age. So putting these two numbers together, you’ll be able to figure out how many years you’ll need retirement money. For example, let’s say you determine your life expectancy is 90 and you want to retire at age 70. That means you’ll need twenty years of money to live on. How much money do you need/want at retirement – basically, ask yourself what kind of a salary you want to live on during your retirement. Of course you could survive on $30,000, and you would live in luxury at $1,000,000 a year. Instead of going to either extreme, try to find something in the middle that will allow you to live comfortably, but also doesn’t kill your paychecks now. Most people determine their salary from a year or two before retirement and decide on a percentage of that salary. For example if you were making $200,000 the year before retirement you could choose to have a salary of 70% of that salary, giving you $140,000 annually. Maybe this number is too high or too low for the style of life you want to live. If so, adjust it accordingly. Determine your retirement goal – so now that you know how long you’ll need retirement money and how much you anticipate needing each year, you can find the total amount you need when you retire. Using the numbers we have already talked about, let’s say you need twenty years of retirement at $140,000 a year. This equates to $2,800,000. That becomes the golden number you want to reach in your retirement savings when you retire. Determining these amounts can give you a great start to your retirement planning. With these numbers in mind, you can walk into a meeting with your retirement advisor feeling informed and knowledgeable about your plan for retirement. Your advisor will then help you with all of the smaller details and the best plan to help you reach your goal. By following these four steps, you’re well on your way to being prepared for retirement. Now that you understand a little bit more about the retirement numbers you are looking for, here is the link to the retirement calculator again – Retirement Calculator. Looking at this retirement calculator, let’s talk about each of the individual pieces of information they are asking from you. Some of them are obvious, but some of them may not be so obvious. Current Age: This should be obvious; however, if you’d like to compare starting to save at different ages – this would be a good tool to do so. Change your current age to an age you think you’d like to start saving at and then note the differences in numbers. Age of Retirement: As we talked about earlier, here is the place where you will put the age at which you plan to retire. Again, just like with your current age you can play with this number to see what happens to your retirement funds based on what age you plan to retire. See what happens if you want to retire early say at 55 instead of 65. Or how the numbers are affected if you decide to retire at 70 rather than 65. Annual Household Income: Here you will place your current salary in your industry. Now like almost all people, we hope that our financial situation will improve as the years progress, and this calculator will take that into consideration (see Expected Income Increase). Annual Retirement Savings: Here they would like you to decide a percentage of your income that you plan to save every year. Because the calculator will adjust your income with an annual salary increase, it will also use this percentage to determine your retirement contribution each year. Current Retirement Savings: This box only applies if you already have some retirement saved in an account. If you don’t have anything saved, put a zero in this box. Expected Income Increase: Unless you have a fixed idea on the percentage your salary will increase each year, leave this number at 3% (the national average). If you have seen something like a salary schedule that indicates a different percentage, feel free to change that number to something more aligned with your salary. Income Required at Retirement: Again you’ll need to decide on a percentage. The calculator will take whatever percentage you put here against the salary you were making during your last year of work. For example if you put that you plan to live on 60%, and your last year’s salary is $180,000, you are looking at a annual salary of $108,000. Remember as we talked about earlier, you most likely won’t need 100%, but you’ll probably need more than 50%. Playing with this number as well, will give you an opportunity to see what kinds of retirement salaries you can expect based on the contributions you make. Years of Retirement Income: You should already have a general idea about this number for our exercise earlier. Based on your life expectancy and the year you plan to retire, you’ll find a number to indicate how many years you will need retirement money to live. Rate of Return Before Retirement: This is the interest rate you expect to receive during the years you are saving for your retirement. Although this number can vary from year to year based on the market, your decisions to invest, etc., you can generally expect a 7% return. This is a very modest number, and most people will see something higher, especially in the early years, but to be safe, use something around 7%. Later in the book we’ll talk specifically about the rate of returns you can expect based on the portfolios you choose. Return During Retirement: Once you have entered retirement, it’s not as if you can’t continue to earn interest on your money. Since you are only pulling out a fraction of it every year/month, you can still expect to earn something with the money that continues to sit in the bank. In order to keep the money safe, and prevent any loss, most people move their money into smaller interest accounts, but ones with little to no risk. Thus, your rate of return during retirement will be significantly smaller, but you can assume a modest 4% if you don’t have any idea. Expected Rate of Inflation: This is a national rate that the country plans to see over the next forty years, or until your retirement. Again, this number should be left at 3% unless you feel or have seen research stating otherwise. Then you will see that there are spaces available for you to check if you are married and if you want to include social security. Checking the married box will only change your numbers if you also ask it to include Social Security (married couples receive up to 1.5 times as much annually as a single person). Reliance on Social Security should be approached with caution (see the discussion on government programs in our next section). Although it is fine to look at it as part of your retirement, we would also suggest planning without it to ensure financial stability. After you have entered all of the numbers into the calculator, you’ll see a graph and information about your retirement accounts. These are general numbers, but you will see how much money you’ll accumulate before retirement and if it is enough to sustain you through your expected years of retirement. If you find that your funds run out before you expected, try playing with a couple different numbers to see how you can reach your goal. You can change your age of retirement or how much you contribute each year in order to have your goal attainable. If you have an immense surplus at retirement, consider changing these numbers as well. Look at retiring earlier or contributing less. However, it’s never a bad idea to have a little extra in your retirement, so don’t sell yourself short when making these decisions. Overall the calculator is there to help you see the effects of saving and to help you with your expectations. Use this calculator prior to speaking with a financial advisor or retirement counselor. By doing so, you’ll have a better idea of the numbers you are looking to obtain by retirement. Once you start talking with a financial planner, together you’ll create the perfect plan for you. It is important to start now and rely on yourself for retirement. One factor that you haven’t seen presented in any of the aforementioned scenarios is Social Security or any other government sponsored retirement help. With our generation, we just can’t assume anything. For those unfamiliar with Social Security, it works like this. Every paycheck you receive has federal taxes removed from it. Depending on your situation, when you file your taxes in April each year, you can receive part of that money back. But two parts you will never see returned to you are Medicare and Social Security. Out of every paycheck you’ll see a percentage taken for these two programs. Both of these programs exist for those who are retired. 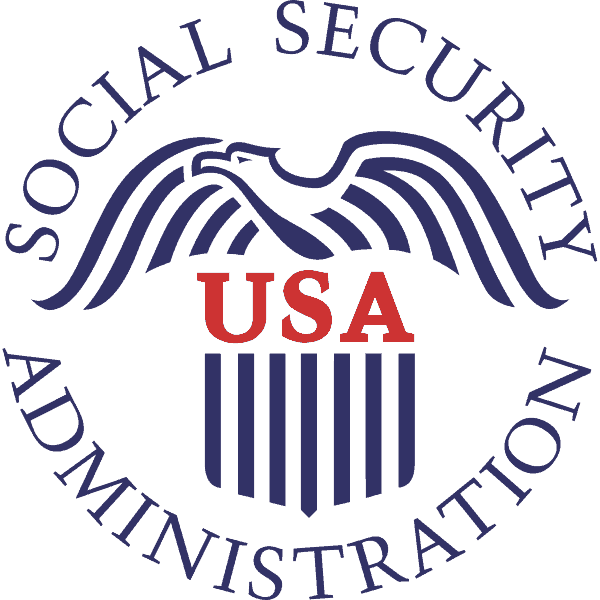 The idea is that you will pay into these programs for thirty to forty years, and then you’ll receive a paycheck each month from the government giving you your money back – this is Social Security. Medicare is health insurance specifically offered to those in retirement. The government steps in to help those in retirement with insurance since they are not employed to receive insurance benefits. It is also assumed that receiving a private insurance is difficult for most elderly because of their age and/or health conditions. These two programs are something you pay for while you still have a job, so that you can reap the benefits when you are no longer working. It’s not exactly that simple, but theoretically, that’s how it works. The amount you receive changes, depending on the cost of living each year and your annual salary. The important thing to understand is that by 2033 it is estimated that the government will only have 77¢ for every dollar they owe back in Social Security. So in order for the government to ensure it has enough money to sustain the Social Security Program, it will need to find 33¢ somewhere else for every dollar it owes. This can be done by raising taxes or cutting back in other programs. And the biggest problem is that it’s only going to get worse. If you’re twenty-five in 2013, then you probably won’t be retiring until sometime around 2053. That’s twenty years after the government is expected to already be bleeding money from Social Security. One of the biggest reasons the Social Security Program is struggling so much and will struggle in the future is life expectancy. When the Social Security Program was first started, most people didn’t live much passed their age of retirement. Even twenty years ago, the life expectancy was only five to seven years after retirement. So that means the government was only issuing retirees Social Security checks for five years. Now, however, the life expectancy is much higher than that. It is not uncommon for people to live well into their eighties and even their nineties. This means the government is issuing Social Security checks for twenty or twenty-five years rather than five. Now you see the dilemma the government is faced with. So essentially, we better not count on any money from the government and then if there is some, it’ll be a nice monthly bonus we weren’t planning on getting. There are current reform plans to help with the problem, but no real solution has been found yet. Those that are currently paying into Social Security are claiming it’s unfair that they pay, but will never see a return or will see a smaller percentage of their return. This could very well be the case, but don’t forget that forty years ago there wasn’t the panic about Social Security there is now. So those that are retiring or have been retired were planning on Social Security, because there was no reason to believe it wouldn’t be there. Without a Social Security check each month many retired people would be in financial hardship. So, in conclusion, remember to start saving now, even if it’s only a small amount. Small amounts can become large amounts through the principal of compounding interest. And don’t rely on the government to provide for you, because by the time you are at retirement, there may or may not be anything left. When you first interview for a job, most likely the employer will mention their retirement options. The part about retirement may be the last thing you are worried about when he’s mentioning your salary, healthcare benefits, etc. But, as we’ve already discussed, understanding your retirement is vital to your future final stability, so it’s important you understand what different retirement plans you might see. It’s crucial you understand a few key things before we talk specifics. First, companies may offer a matching program. This means that for every dollar you place in your retirement, they will match it up to a certain percent. For example, your company will match 100% of your annual contribution up to 3% of your annual salary. So if your salary is $65,000, and you choose to invest $5,000 a year into your retirement fund, the company will add an additional $1950 just for working for their company. Most people consider this “free money,” and would strongly suggest taking advantage of it. Second, it’s important for you understand that some plans are tax-deferred and some are not. We will talk more later about the tax benefits associated with retirement. 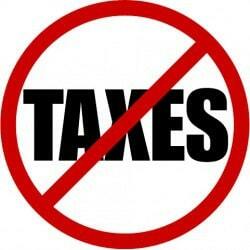 However, if a plan is tax-deferred, it means the money is removed from your paycheck prior to taxes being taken out. If the plan is not tax-deferred, the money invested into your retirement comes out after taxes are removed from your paycheck. Third, retirement money is set for retirement, and shouldn’t be pulled out early. When you invest money into a tax-deferred retirement plan, you are not required to pay any taxes on that money until retirement. However, if you elect to remove your retirement early for any reason, you will face penalties from the IRS. This rule is mainly in place for you. It makes you think long and hard before dipping into your retirement early. Of course there are circumstances that might warrant you pulling your money out early, but realize that you will be required to pay those penalties as well as taxes on the money before you use it. For the majority of retirement plans the golden number is 59 and ½ years old. Once you have reached that age, you can remove your money without penalty. Take for example if your retirement had been growing for ten years (from age 25-35) and then you decide that you’d like to cash out your retirement for a down payment on a new house. If you had been contributing just $5000 a year at an 8% rate of return, you would have $72,500 built in your account. Now if you decide to cash it out, you’ll hit with two different debits. The first is the 10% penalty for removing your money early. So you’ll loose $7250 to the IRS, leaving you with $65,250 for your down payment. Now essentially, this the check you would receive from your retirement fund, but don’t forget that you have to pay additional income taxes on that money. The IRS sees your $72,500 as additional income for the year and will expect you to pay the taxes as such. With an additional $70,000 in your income, you could change your tax bracket requiring you not only to pay additional taxes for the retirement cash out, but also additional taxes on your current salary. So let’s say that your taxable income is $85,000 annually when you decide to cash out your retirement fund. This puts you in the 25% tax bracket, but with the additional income from your retirement cash out you now have taken yourself to the 28% tax bracket. The IRS does not care what you plan to do with the money you receive from your retirement fund. They don’t care if you spend every penny paying off bills or loans. They only see that you gave yourself a salary increase for the year and want their cut. With the IRS, things are pretty cut and dry. For the next bit, we are going to list the different retirement plans that could be sponsored by your employer. Many employers will offer a 401k retirement plan. Only an employer can sponsor this plan. A 401k is tax-deferred. So basically any contribution you make into this plan will have great tax benefits. The contribution amount is taken out of your paycheck pre-tax, which brings your taxable income both for each paycheck and for the year down based on how much you contribute. Ultimately, by investing money into your 401k each month, you will save yourself in the amount of tax you owe at the end of the year. Once you have put your money into your 401k, it will be invested in different areas of the financial market. It may be invested in stocks, bonds, mutual funds and money market accounts. Your employer will have partnered with a financial institution to take their company’s retirement funds and invest it. You will be introduced to a retirement representative from that company. The representative will talk with you about how much you want to invest and how you would like to invest it. You can choose to have a high-risk, medium-risk or low risk portfolio. We will discuss these different types of plans later. However, it is important you make time to meet with your company’s representative in order to ensure your money is placed where you feel comfortable. A 403b Plan is very similar to a 401k. Again, any money you invest in your plan is tax-deferred and saves you in taxes owed each year. The biggest difference between these two plans is that 401k retirement plans are offered by for-profit organizations and 403b retirement plans are offered by non-profit organizations. 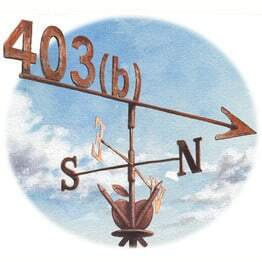 You will most likely see a 403b if you work for a school district, a hospital, a church, or some other non-profit organizations (501(c)(3) organizations). Essentially, a 403b and 401k are different based on the tax codes the government assigns them. All of your money will still be taken by an investment company and invested into the type of portfolio of your choosing. A 457 retirement plan is also similar to a 401k or 403b retirement plan. It works exactly the same, with employee contributions and some employer matching. Again, your money will be invested based on your portfolio preference. Again, the major difference in this plan is who can offer it. In order to offer a 457 retirement plan, the organization must be a state/local government or a tax-exempt organization. All of the money contributed to a 457 retirement plan is tax-deferred until retirement. 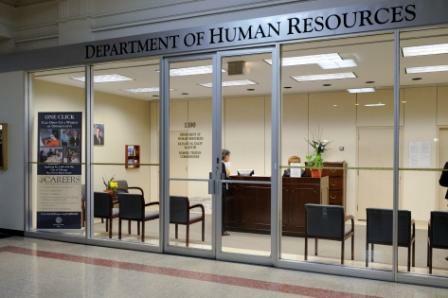 This allows employees the tax benefits similar to the 401k and 403b retirement plans. Pensions are not as popular as they used to be. In the past, instead of a 401k, 403b or 457b, a company would offer a pension. With economic struggles, most pensions are being reduced or completely discontinued and replaced with a 401k, 403b or 457b. The main reason companies are shying away from pensions is the immense cost to a company. An employer offers a pension plan and generally the only money contributed into the pension plan comes from the employer. There are two different types of pension plans – a defined benefit pension plan and a defined contribution pension plan. With a defined benefit pension plan, an employer promises an employee a certain amount of money at retirement. Generally these plans include required years of service in order to receive a full pension. For example, a correctional officer is required to work for twenty years in the department. After twenty years of service, the employer will pay 75% of the officer’s last year of service. This amount is guaranteed every month until death. 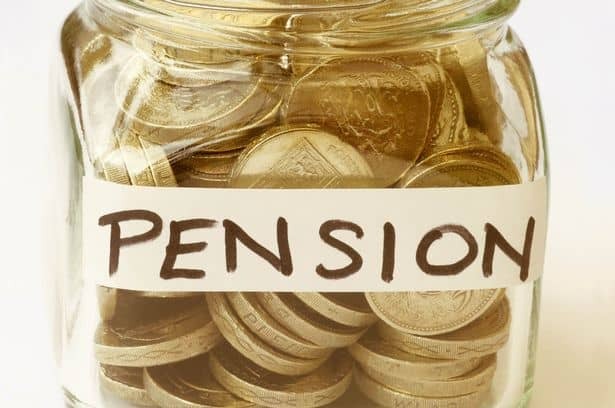 When you have a defined contribution pension plan, your employer will invest a certain amount into your plan, and however much you have at retirement is what you have. Your employer may invest money monthly, quarterly or annually. As these contributions grow, so does your retirement. You may also lose money, depending on the market, but overall your money will grow in the long run. The disadvantage of this type of pension is that it is very hard to determine how much you will have at retirement. The employer may also require a certain amount of years of service to receive your pension, but not always. Some employers will give you your pension wherever it currently sits if you decide to leave before retirement. Pension plans are very expensive for an employer. Since the employer is generally the only contributor, pensions will cost the company immense amounts of money each year. Especially now that the retirement years are longer due to life expectancy, companies are struggling to maintain their pensions. This is why you will see pensions fading in the job market over the years. Some companies will offer new employees stock options as part of a retirement plan or as a sole retirement option. In order for this option to be available you must work for a company that has stock. If you work for a company that does have stock, your employer may offer you a “deal” to purchase stock in the company at a good price. Sometimes this price may be half the current market value. This still requires you to purchase the stock outright, but then instantly after purchase you have doubled your investment (if purchased at 50% the current market value). There is always a designated time frame for you to use your stock options. The idea is for you to invest in your own company. As the company improves, so will your stock. If, however, the company fails or struggles, your stock will drop in value, ultimately hurting your retirement investment. Even though this can be a great buy, it’s quite risky. An advantage of having stock options is that there is no specific age at which you can cash out your stocks. However, there are penalties now in place if you buy the stock and then sell it again within a short period of time. Understandably, employers will be disappointed if they give you stock options only to have you sell them shortly after being hired. Generally, when an employee sells his/her stock, it means there is or will be a termination of employment. 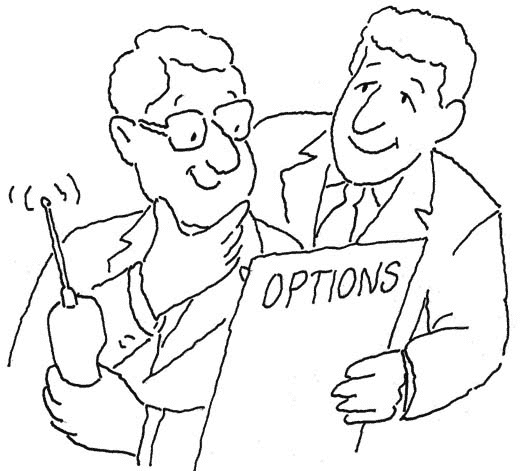 A disadvantage of stock options is that they are not tax-deferred. Initially, you will pay tax on the incentive part of your options. Let’s use an example for further explanation. Let’s say your employer offers for you to buy stock at $50 a share when a share’s market value is $75. 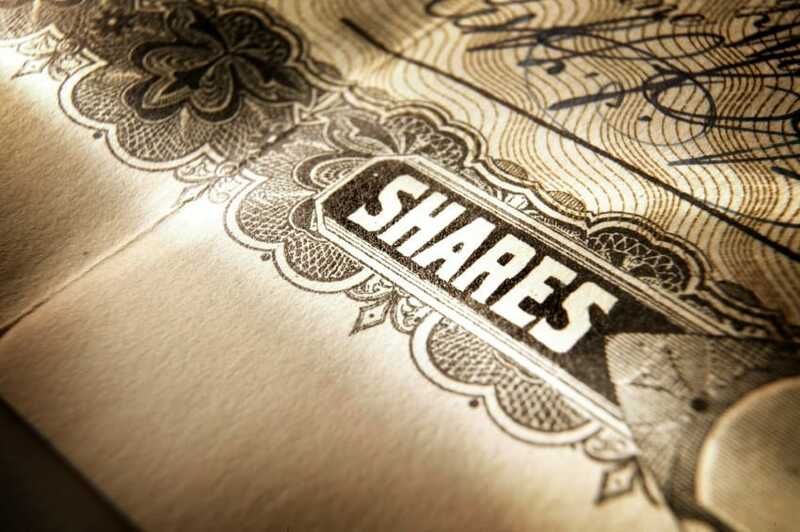 Your employer grants you up to 1,000 shares if you want it, but you elect only to purchase 100 shares. So you spent $5000, but instantly your shares are worth $7500. However, for your taxable income in that year, you must pay tax on the difference between the two. So by subtracting $7500 from $5000 you learn your additional taxable income. In this case you would see an additional $2500 on your W-2 at the end of the year. It would be reported as extra income granted to you during the year. Basically the IRS sees that you invested $5000 of your own money (money that was already taxed), but they see that your investment granted you $2500 that had not been taxed; therefore, the IRS will see it as taxable income. In addition to paying tax when you initiate your stock options, you will also pay tax when you sell your stock. Depending on when you decide to sell, the tax will be slightly different, but you will pay tax nonetheless. Stock options are not a bad investment, as much as it may seem so. Even though you pay tax on them twice, you will still most likely be ahead by a good amount of money considering you were able to buy the stock at a good price. The only time this wouldn’t be the case would be if the company struggled and your market shares dropped significantly. A stock purchase plan is similar to stock options. Employers offer the company’s stock for a reduced rate, usually only up to 15% off. Employees can use after-tax money to purchase this stock. Unlike stock options, stock purchase plans are available to employees indefinitely. There is no set time frame that an employee must purchase the stock. There will be a period surrounding each pay period that an employee must exercise the right to purchase the stock; otherwise the employee will need to wait until the next pay period. That being said, the stock price will fluctuate based on the company’s performance in the stock market. However, employees will still receive the designated discount prescribed by the company. 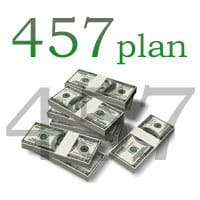 Some stock purchase plans qualify as a 423 stock purchase plan. In this case, you are not taxed when you first purchase stock. Instead, you are only taxed when you withdraw your money. Withdrawing your money can take place at any time, but the taxes will be different if you choose to withdraw under a year from the original purchase. Unfortunately there are non-qualifying stock purchase plans. With a non-qualifying stock purchase plan, you do not receive the tax benefits and are therefore taxed on both your purchase and when you sell your shares. Usually your company will determine a set amount of your paycheck that can be used for a stock purchase plan. Generally, it is less than 15%. If your plan is a 423 qualified plan, you cannot exceed $25,000 every calendar year in stock purchases. When a company first hires you, they will give you some sort of benefits package. This package will include health insurance, life insurance, retirement, etc. There will be a period of time in which you need to enroll in their programs or elect to opt out. Retirement is just as important as all those other pieces of your benefits package. There will most likely be three different individuals you will work with in regards to setting-up your retirement. Most companies have an on-staff employee that handles retirement. This individual doesn’t work for an investment company, but he/she can direct you to a representative from the investment company that can work with you on your investment decisions. The on-staff employee works as a liaison between your company and the investment company. The representative from the investment company is a great resource for getting you started. In some cases the representative will want to meet with you, but if you are not contacted by him/her, ask for the contact information from the on-staff employee. Call and arrange a meeting with your representative as soon as possible to ensure you get things set-up before your first paycheck. The third individual that you will need to consult with is a tax consultant. Because different plans have different tax benefits, having a tax consultant will ensure you take advantage of as many tax benefits as possible during the retirement planning process. Your retirement representative can give you some tax information, but consulting a tax professional will give you the best understanding and knowledge about the tax portion of your retirement account. You can use the same CPA you have used for your taxes in the past for this consulting. If you do not have a tax consultant, ask your retirement representative or the on-staff employee retirement liaison for a recommendation. Before you meet with your representative, have in mind some numbers that you feel comfortable with contributing. This number can change, but it is always a good idea to walk in the door with something in mind. Create a monthly budget with all of your expenses. This will help you see how much you can contribute to your retirement plan each month. Even if this number is small, remember its importance. It would probably be a good idea to bring a written copy of your budget with you to the meeting with your retirement representative. Although the person you will speak with specializes in retirement planning, they are trained in all areas of finances, and if needed they can help you plan your monthly budget efficiently. This will also help them understand why you came to the meeting with a certain number in mind. By sharing with them your expenses, they can better help you find the best amount to invest in your retirement. Your representative will take your money each month along with every other employee in your company and invest it in a variety of different places. Like we discussed earlier, your money may be invested in stocks, bonds, money market accounts or mutual funds. The type of accounts your money is invested in depends on the type of portfolio you decide to create. As we have discussed before, you should strongly consider starting your retirement with your first paycheck. We have already talked about the importance and benefits to starting earlier rather than later, but we will continue to stress the great value of starting at the beginning rather than playing catch-up at the end. As questions arise on your retirement, don’t hesitate to call and visit with your retirement representative. You will receive quarterly and annual statements in the mail regarding the current value of your retirement fund. Inevitably as you begin investing, there will be things that are unfamiliar to you, or that you don’t understand. Your representative is a great resource to utilize as you plan for retirement. Obviously, some of you won’t have a retirement plan offered through your work. Don’t worry; there are options for you, too. Some employers don’t offer retirement options through their company, and some of you might be entrepreneurs starting your own start-up business. If you are doing any type of freelancing work, you can also take advantage of these retirement opportunities since you won’t have a company to offer you any type of plan. The same principles apply with these types of retirement plans as those we’ve already discussed. Starting sooner will prove advantageous now as well as at retirement. Therefore it is important to start saving in a retirement plan right away even if it’s in small increments. There are some plans that are available to individuals like freelancers, and there are different plans if you are a small business owner or self-employed. Some of the plans are available to both types of individuals, but others are only available to one group or the other. If you fall into this type of category, make sure you are looking into a plan that best fits your needs. Here are some retirement plan options you can look into if you find yourself in a situation like this. A Roth IRA is a retirement plan available to any individual. Roth designates the type of investment you are making and IRA stands for Individual Retirement Account. 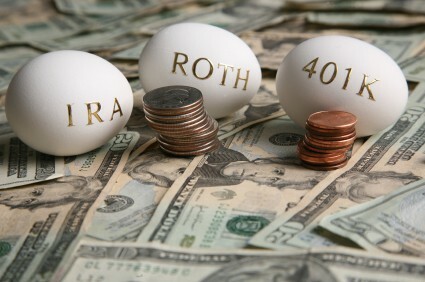 Even if you have a 401k with a company, you can still obtain a Roth IRA. For example, if you have maxed out the 401k you have with an employer, but you want to contribute more in a year, using a Roth IRA just may be the answer. You can also open a Roth IRA if you have no other retirement plan. 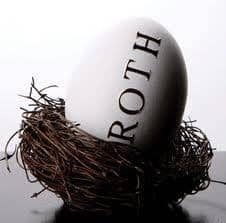 There are a few restrictions for Roth IRAs. There are restrictions on how much you can contribute in one year. In 2013, the maximum you could contribute as a single person or as head of a household was either $5,500 or your taxable compensation for the year – whichever number is smaller. Also, the money you contribute into a Roth IRA is not tax-deferred. Instead, you pay into your Roth IRA with after-tax dollars. However, the growth and earnings you receive in your Roth IRA are not counted against you in taxes each year. You’ll pay regular income tax when you begin withdrawing your money. Like other retirement plans, you cannot withdraw your money until you are 59 and ½ years old without penalty. In the case of a Roth IRA, you’ll pay a 10% penalty if you withdraw your funds early. One benefit to a Roth IRA is that you can begin taking your money any time after 59 and ½. Some retirement funds require that you begin your withdraws at a certain age, regardless of if you need them or not. With a Roth IRA, you can wait until you are 65 or 70 if you choose, depending on your living situation. There are also income limits to Roth IRAs. If you make less than $112,000 a year you can contribute up to the limit discussed earlier. If you make between $112,000 and $127,000 you can still contribute, but it is a reduced amount based on your income and situation. If you make over $127,000 a year, you cannot contribute to a Roth IRA and you’ll need to look into other retirement plan options. 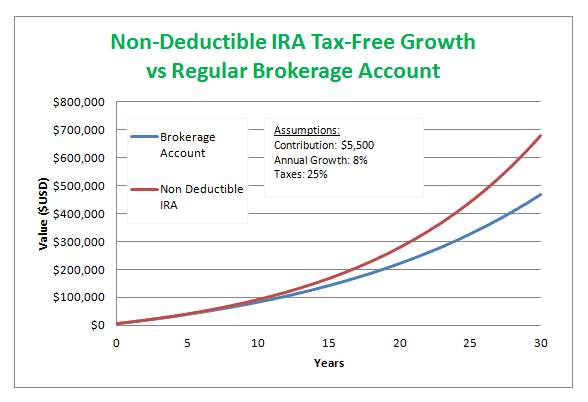 A deductible IRA is a tax-friendly Individual Retirement Account. When you contribute to a deductible IRA, you use after-tax dollars just like the Roth IRA. However, unlike the Roth IRA, you can use your total contribution amount to add as a deduction each year on your taxes. There is a limit to this that changes every year, so beware that not all of your money may be used as a deduction if you contribute over that limit. Additionally, your money is put away tax-deferred until you start to withdraw it at which time you’ll pay income tax. Also unlike the Roth IRA, there are no income limits to participate in a deductible IRA unless you are using a Deductible IRA as a supplement to a company sponsored retirement plan. If you are also using a company sponsored retirement plan, there are income limits for eligibility. For single tax payers, the income limit is between $52,000 and $62,000. For married couples the limits are higher. As with many of the other retirement plans we’ve talked about, there is a 10% penalty for withdrawing any money before the age of 59 and ½. In addition, you have to start withdrawing your money by age 70 and ½ regardless of your living situation. A non-deductible individual retirement account works almost the same way as a deductible individual retirement account, except you cannot claim any contributions made into this account as a deductible on your taxes. These accounts are still subject to limits each year. As with the deductible IRA, there are no income eligibility requirements for single tax payers. If you are married and filing a joint tax return there are income requirements for eligibility. There is also the penalty for withdrawing before 59 and ½ and you must start withdrawing funds at 70 and ½. This type of retirement account is best for those who make too much to be eligible for a Roth IRA or deductible IRA. A simple individual retirement account works with small businesses and those who are self-employed. In order to be eligible for this type of retirement plan, your company must have less than 100 employees. (The 100 employees only count if they make more than $5,000 a year.) These types of plans are great for those who are self-employed business owners with a small number of employees because this type of plan makes it possible to chose how you contribute to the plan at the beginning of each year. Any contribution into a simple IRA is made with pre-tax dollars, giving you the tax advantage other IRAs do not. Once you start to withdraw your money, you will pay income tax, but otherwise your money grows in the account tax-deferred until then. With a simple IRA, the employer must make contributions in addition to anything the employee contributes. There are two different possibilities that an employer might use to match. The employer can match up to 3% of an employee’s earnings in a calendar year. Depending on the year, the employer can also change between 1% and 3%. So the contribution matching percent can vary from year to year. The second option for employers is to make contributions to a retirement fund even if the employee does not. These are called non-elective contributions. With this option, an employer can make contributions up to 2% of the employee’s annual pay. There are contribution limits for a simple IRA. There are two different contribution limits on a simple IRA – the employee limit and the employer limit. In 2010, the employee limit was $11,500. The employer must contribute something into your retirement in order to keep the account active. If the employer contribution is a match dollar for dollar, it can’t be greater than 3% of your salary. If they are making non-elective contributions, the limit is 2% of your salary. 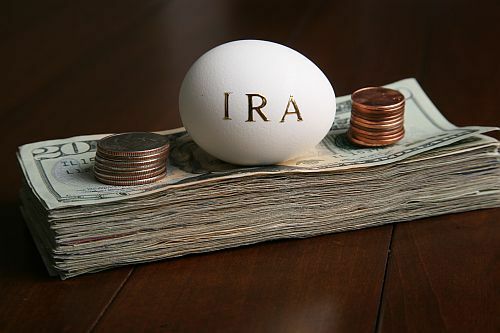 An individual must wait to withdraw any money from a simple IRA until at least 59 and ½. In addition at 70 and ½, if you do not start withdrawing funds, you’ll receive a 50% penalty on your required minimum withdraw. This number will be given to you when you first sign-up for your simple IRA. 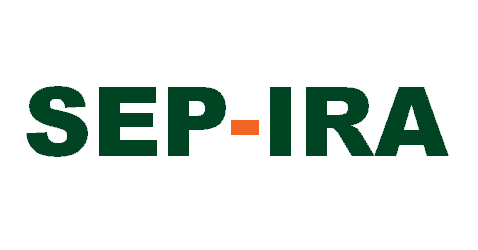 An SEP IRA stands for Simplified Employee Pension Individual Retirement Account. It was created to help employers that had originally offered pension plans, or companies that might traditionally have offered them. This individual retirement account is specified for small business owners, in addition to self-employed individuals, sole proprietors and partnerships. This plan requires employers to contribute to the retirement plan for any employee that has worked with them for three years or more. This prevents an employer from opening the retirement for himself, and then choosing not to offer it to his employees. All contributions made into an SEP IRA are made with pre-tax dollars. An SEP IRA also grows tax-deferred until you start to withdraw it at retirement. With this plan, you receive all the tax benefits available to retirement plans. There are limitations on how much you can contribute into your SEP IRA. In one calendar year, you cannot contribute more than 25% of your salary or $51,000 whichever is less. These are the numbers in 2013; however, the limitations can change each year, so continue to be informed of the limitations as time moves forward. Any employee that makes less than $500, does not have to be offered the retirement plan by the employer. Until you have worked with the company for three years, your employer is also not required to make any contributions into your plan. However, you can, it is important for you to start contributing even if your employer is not. After three years, the employer can match your contributions or make non-elective contributions. As with almost every retirement plan, you’ll be penalized 10% if you withdraw funds before 59 and ½, and you must start withdrawing funds at 70 and ½. The amount that is required to be withdrawn at 70 and ½ is outlined when you first sign-up for a SEP IRA. The Solo 401k is available to sole proprietors looking to open a retirement plan. A sole proprietor is an individual that runs his or her own company. If you are a sole proprietor, owning and running a company all by yourself, a Solo 401k is a perfect option for you. A Solo 401k is especially beneficial for those who want to contribute significant amounts into the plan. All contributions made into a Solo 401k are made with pre-tax dollars and anything you earn or gain each year is tax-deferred until you start to withdraw at retirement. 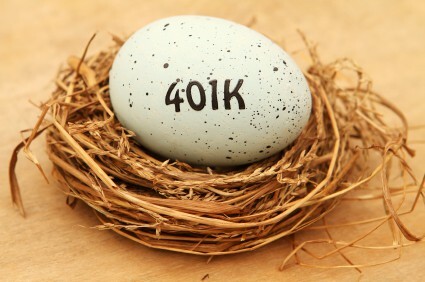 With a Solo 401k you receive all the tax benefits available for retirement plans. There are limits to how much you can contribute into your Solo 401k. In 2013, you can contribute $51,000 a year into your Solo 401K. This is by far one of the higher limitations we have seen in retirement funds. This number is also subject to change every year, most likely increasing. There are no income eligibility requirements for a Solo 401k, which is helpful for both ends of the spectrum. If you are a new proprietor, not making a huge salary, you still have the option to start a Solo 401k and contribute as much as you can. With a Solo 401k, you are not required to contribute the same amount every year, which means you can increase your contributions as your business becomes more successful. If you have a tough year, you can also elect to contribute less that year. However, if your business is doing extremely well, you are also eligible for a Solo 401k and you can contribute significant amounts of money each year to build your retirement quickly. Another great benefit of the Solo 401k is the fact that you can withdraw your money starting at 50 and ½ instead of 59 and ½. If you withdraw funds earlier than 50 and ½ you will see the same 10% penalty as other retirement funds. Additionally, you will pay a penalty if you do not start withdrawing the required minimum withdrawal by 70 and ½. The Keogh plan isn’t extremely popular today, having been replaced by other plans. The reason these plans are not as popular is that they tend to be high-maintenance and have a lot of administrative burdens. People don’t want to have one more thing that they need to constantly be worrying about. Instead, people want to plan that is simple and they only have to think about once in awhile. The Keogh plan is a form of a pension plan for self-employed individuals and unincorporated businesses. A great benefit of these plans is that they are tax-deferred until retirement. In other words, you won’t need to pay any tax until you retire at which time, you’ll pay income tax every year. There are two different types of Keogh plans. The first is defined-benefit. 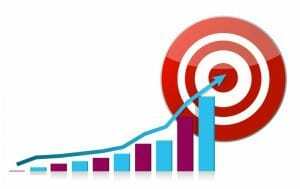 With a defined-benefit plan, you decide how much money you will need at retirement, and then based on that number, the number of years you have left until retirement, and the average growth of the market, you determine how much you need to contribute annually to get to that goal. The second is a defined contribution plan. This plan dictates exactly how much you will contribute each year. You contribute the same amount regardless of the outcome. Essentially, you will contribute a certain amount of money and how ever much it grows by retirement is how much you have. Instead of setting a retirement goal as with the first type of plan, you trust in your contributions and the market to take care of you financial goals. Now of course this is done within reason, but you get the idea. The Keogh plan also allows for individuals to make their contributions and have them be tax deductible each year. There is a limit to the amount you can take as a deduction, but it is considerably high compared to other plans. In 2007, you could deduct up to 25% of your income, unless it was more than $47,000. So generally those that looking to put away large amounts of money each year, will find this plan helpful. Keogh plans take your contribution and can invest it in stocks, bonds, certificates of deposit and annuities. These are the same places a 401k and a traditional IRA will invest your contributions. As with so many retirement plans, you will receive a penalty if you start withdrawing your money before 59 and ½. You also need to begin making withdrawals by 70 and ½ in order to pay an additional penalty there as well. Although Keogh plans are more difficult to manage and may require more work on your part, the contribution limits are higher than other plans. Because the contribution limits are high, these plans work well for business owners and proprietors. The first thing to consider is what you want to do with your money and which types of plans you are eligible for. Once you have a general idea, you’ll need to meet with a financial planner and retirement consultant to help you get started. Before meeting with anyone, do a little digging and research to ensure you have found a financial planning company that works best for you. There are specific retirement plans out there designed for freelancers or self-employed individuals. In other words, a financial company has taken a significant amount of freelancers, grouped them together, making it possible to offer them a 401k. The same type of plan exists for self-employed individuals. These types of plans are rare and only offered by certain financial companies, so if you are interested in something like this rather than a traditional retirement plan for entrepreneurs, freelancers, or those who are self-employed, you’ll need to do a little research. Walking into the financial planning company with a good idea of the types of retirement plans available and your eligibility in those different types of plans is also a plus. The consultant won’t need to explain everything to you, but can focus more of his/her time helping you find the best plan for you. And don’t forget, that whichever financial planning company you decide to work with will charge you. Any company you chose will have its fees associated with helping you start and maintain your retirement plan. Thus, shopping around is always a good idea, but remember that you’ll want a mix of experience and value in order to have your money invested in a safe and reliable company. And when you are shopping around, don’t be afraid to go in a meet with different consultants to see what they recommend and what they can do for you. It’s perfectly fine to spend time with different consultants before you choose the one with the best options and even the consultant that best works with your personality. Think of it as shopping for a new pair of jeans. Rarely would you try on one pair and stick with it. That’s not to say the first pair you try on isn’t ultimately the one you purchase, but more often than not, you’ll try on a couple other pairs just to compare them with the first. Using your skills of comparison, you are able to choose the best pair of jeans based on value, fit, style and durability. The same principles apply to choosing a financial institution to partner with in your retirement planning. When you first meet with them, they will ask a lot of questions about your personal financial situation. Having the most accurate up to date information will save both you and your consultant a great amount of time. Your consultant will have all the information about plans you are eligible for and what will work best with you personal financial situation. It’s important to walk in the door of your financial planning institution with a list of questions in mind that you need answered before you walk back out. Your consultant should be able and willing to answer any of your questions, even if they sound elementary. If you need a refresher in how the interest works, or what the difference is between a 401k and a Solo 401k, your consultant should take the time to answer them – and continue explaining them until you fully understand. Don’t shy away from asking follow-up questions to ensure your comprehension. Remember, this is your money and it should be placed where you want and how you want. You need to feel comfortable with your decision. As time continues, you may speak less to your retirement consultant, but remember there are important things in your retirement plan that can change from year to year. In these cases, you’ll want to at least be in touch with your consultant once a year to review these numbers. Whether it is a contribution increase or decrease or the limits have changed on your plan, it’s important you be aware of what is happening with your money. When retirement starts to get closer, you’ll want to meet with your consultant more often to make sure you are on track to have the amount you need at retirement. Your goals may change, as you get closer to retirement, either deciding you will need more or less than you had originally thought. In that case, you’ll need to meet with your retirement consultant to change your contributions accordingly. You may also find that the current contributions you are making are maxing out your plan every year, but you would like to save more. In these cases, your retirement consultant can help you set up additional accounts to help you save more for retirement. Saving for retirement as a freelancer, entrepreneur, or self-employed individual doesn’t have to be difficult. It may sound that way, but by finding the right help in a retirement consultant and creating the right plan for you makes it easy to contribute your money and let it grow until you have reached your retirement goal. You now have a basic understanding of the retirement plans out there, and how retirement money works. There are still a few things to understand that will help you in your decisions about retirement. These tips and tricks will not only help you decide which retirement plan is the best fit for you, but also will encourage the development of good habits and give you general knowledge in the financial world. Saving isn’t just about retirement. Saving is an integral part of everyday living. 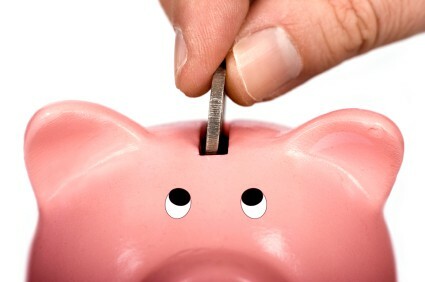 It is important for you now, at an early age, to develop the habit of saving something with every paycheck you receive. At first it doesn’t need to be a lot, but starting now, will help you develop the habit of knowing that part of your budget should include savings every month. By developing this habit now, early in your career, you are ensuring that through out the next 30-35 years you will find yourself living comfortably. Retirement is a savings plan, just like having a savings account with your bank. 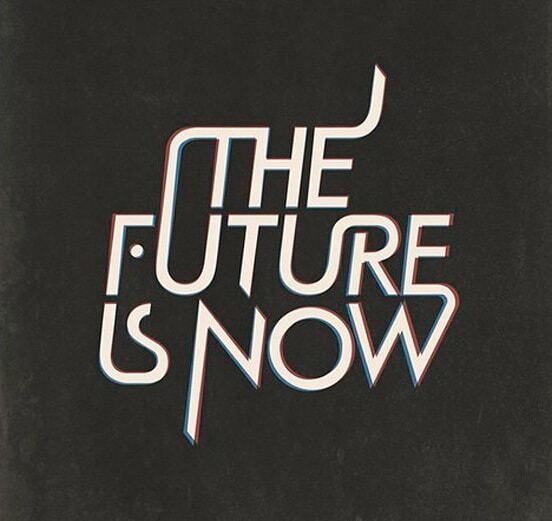 By having any type of savings, you are preparing for the future. A traditional savings account will accrue some interest, but not nearly as much as a retirement account could. That is why having two separate types of accounts will prove valuable. You can’t put all of your money in either account. Unlike your retirement account, a savings account can be used at any time for any situation without any sort of penalty. This is another reason it is important to have both kinds of savings. You’ll need a traditional savings account for emergencies like car repairs, unplanned hospital visits, home repairs, etc. These are the types of things you use the money in your savings account to pay for. By preparing for these types of life events with a traditional savings account, you won’t feel pressure to dip into your retirement early in life. Those that are really budget-friendly and savings oriented will have multiple kinds of savings accounts. These types of accounts could include a retirement plan, an emergency savings, a big purchases savings, and a traditional savings. Obviously, the money that is put in the retirement savings is intended for use at retirement. An emergency savings can be used for the things we discussed earlier like car and home repairs. These wouldn’t be like cosmetic changes or remodels, but instead for a new water heater or furnace if yours breaks. A big purchase savings could entail a few different things. This is where you could save for your kitchen remodel. It could also be used for down payments on cars or homes. And lastly you’ll have a traditional savings for smaller purchases that may or may not be planned, like a new television or computer. Regardless of how you decide to structure your savings, planning in your monthly budget to contribute designated amounts into these savings plans is crucial. After you get paid every month, designate amounts for all the different areas of your life that will need money. Be realistic with your budget, so you do not disappoint yourself if you can’t keep to it. However, don’t be extra frivolous with your money either. Find a medium ground where you can live comfortably without putting money places that is unneeded. Many recent college graduates develop an attitude of “I’ll start saving when …”. This attitude can be detrimental, because it becomes a slippery slope where there is always something to finish that statement. For example, it may start as “I’ll start saving when I have a steady job.” Then once you have a steady job it becomes, “I’ll start saving when I get my next pay raise.” But your next pay raise comes and you tell yourself, “I’ll start saving when I’ve paid off my student loans.” So you throw extra money at your student loans and get them paid off, but then you say, “I’ll start saving when I am more established – like a house and car.” So you get your house and car and eventually a spouse comes into the picture, and so then the statement changes to, “I’ll start saving when we are done having kids.” But alas, kids are very expensive and you’ll find yourself saying, “I’ll start saving after our youngest graduates from high school, giving me a better cash flow.” By now you are well into your 50s and maybe even your 60s. You are staring at retirement, but there is nothing there because all along the way you had other things distracting you from saving. Letting go of the idea that “I’ll start saving when…” is key to your financial success. By developing your savings habit now, you will see your savings and retirement grow exponentially over time. As your life situations change and/or your employment gets better, you’ll be able to save more and more. You can also consider contributing more to your retirement as the years go on. 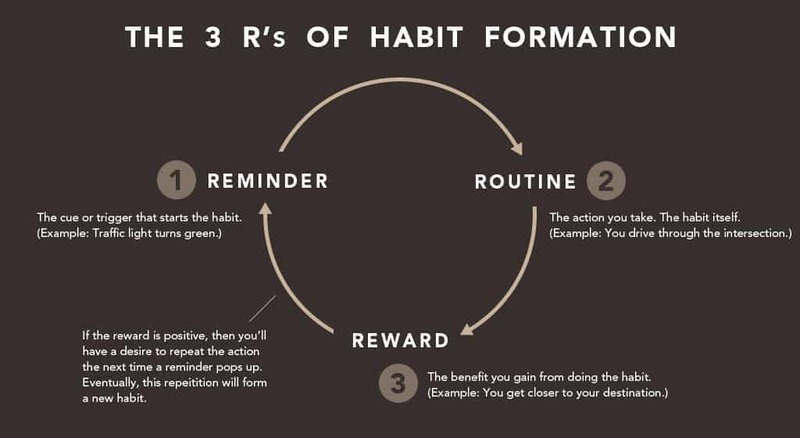 But by developing the habit now to start saving something, you’ll be accustomed to putting money away. It won’t be hard and you’ll find that you are less careless with your money. Now of course, saving isn’t always easy. Regardless of how much money you have or don’t have, there are always things you can justify buying. As you step out into the real world, you’ll find that there are more things than ever that you believe that you “need.” Stopping and checking yourself with these “needs” is crucial to your financial success. Most of the time the things we think we “need” are really just “wants” – not all but some. Saving requires you to sacrifice some of those wants in order to see a greater return in the long run. Let’s look at a couple of examples of people in shoes perhaps similar to your own. Sarah just got her first job as a teacher. She lived meagerly while in college, so having a salary of $40,000 her first year is like Christmas. Her first paycheck comes and she sees around $3000. This is the most she has ever made in one paycheck. The dollars signs are rolling around in her brain. Sarah decides that in order to look professional at work, she’ll need some new clothes since she hasn’t really dressed professional while in college. She heads to the mall to look around, but all of the stores she normally shops in don’t carry professional work clothes. Sarah decides to hit a high-end department store, like Nordstrom’s to find her clothes. And find clothes she does. She buys a couple of outfits and drops $600. Sarah also decides that on her new paycheck she can afford a nicer apartment without roommates. Besides, she’ll need peace and quiet when she comes home from work, in order to relax and continue planning for the next day if needed. Having roommates will not give her the peaceful relaxing environment she is looking for. So, Sarah goes out and finds a nicer and one bedroom apartment, but pays twice the rent. But that’s not a problem since she has such a great paycheck. As time continues, Sarah has a hard time getting up in the morning and finding the energy to cook meals at night. She starts running through Starbucks every morning for a pick-me-up on her way to work. She also tends to find somewhere to pick up dinner on her way home. It’s expensive, but worth it, since she is already on her feet all day. Coming home and making dinner, doesn’t sound appealing. And the Starbucks is essential to get her through the day. Her paycheck can cover it. After a few months, Sarah realizes she is living paycheck to paycheck. She almost spends everything she makes every month. By the last week of the month, she is constantly checking her bank account to make sure there is enough money to cover her purchases. A few thoughts run through Sarah’s mind as she contemplates her financial situation. How did she ever live on less than $3,000 a month? Where did all her money go? Okay, now let’s consider another recent college graduate. Jennifer has just taken a job working in the loan division of a local bank. Her annual salary is also $40,000. When Jennifer receives her first paycheck, she is also shocked and pleasantly surprised by the $3,000 she now has made. Jennifer, like Sarah, would like to buy some new outfits for work. She didn’t spend a lot of time looking professional while in college. Heading to the mall, Jennifer budgets herself $200 to spend on new clothes. She knows that going to a high-end department store like Nordstrom’s is not a great idea with only two hundred dollars. In a store like that, two hundred dollars won’t get you very far. Instead, Jennifer decides to go to a middle-end department store like JCPenny’s. She can still get great looking clothes at a fraction of the price. Searching the sales racks, Jennifer is able to walk about with half a new wardrobe for two hundred dollars. Jennifer thinks about coming home after work to her apartment of six girls. It was always wild and crazy in their apartment, and although Jennifer liked that when she was in college, now she thinks perhaps it isn’t such a good idea. Although she might have preferred an apartment all to herself, the fact that it was double the cost was something she was not willing to give. So instead, Jennifer sought out someone else in her situation; a recent graduate with a job. Together Jennifer and her one other roommate, found an apartment. It is slightly more expensive than the apartment with six girls, but not as expensive as living alone. As the days go on, Jennifer finds it harder and harder to get up in the morning. She stops by Starbucks a couple times, until she realizes how expensive they are. Instead, Jennifer digs her coffee machine out from under her bed and makes her own coffee in the morning. Buying coffee, creamer and sugar is a fraction of the cost of buying one at Starbucks. Jennifer is also tired at the end of the day, coming home and not really wanting to slave away in the kitchen making dinner. Instead of choosing to eat take-out, Jennifer spends a few hours on the weekend when she is not working, to prepare meals for the week. Some of them are frozen meals that only require a little prep. Others are all ready to go in the fridge. Jennifer has found a way to save her money, without slaving away in the kitchen. At the end of every month, Jennifer finds that she still has plenty of money in her bank account. She starts to wonder what she should do with her excess? Now, let’s talk about each of these two women and their situations. Sarah did nothing wrong. Her paycheck is her money and how she chooses to spend her money is completely up to her. However, we would advise that she takes precautions in her current lifestyle. Living paycheck to paycheck can be a scary thing. Without money is savings, things like car repairs or medical emergencies become troublesome burdens. When an emergency like this comes up, Sarah won’t have the money to pay for it, and instead she may turn to something like a credit card for help. Although, we won’t talk about the pitfall of a credit card, this is not a wise decision. Additionally and just as importantly, Sarah is not considering her retirement at all. Instead, she has the “I’ll save when…” attitude, justifying that in order to survive right now, she needs every penny of her paycheck. In contrast, consider Jennifer and her choices regarding her finances. 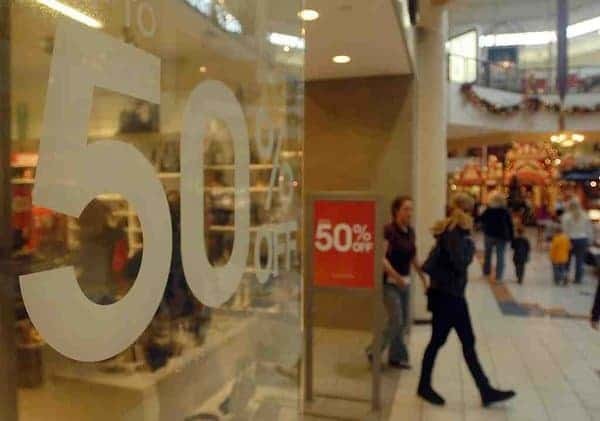 Instead of spending outrageous amounts of money on new clothes, she decides to purchase her clothes at a lower price using a medium-end department store. In all reality she will look just as nice as Sarah who spent her money at the high-end department store. She also considered living alone, but decided that one roommate in a similar living situation would work out just fine. Together they are able to split the rent that Sarah would be paying solely. The same works for any utilities they are required to cover. When it came to meals and the morning coffee, Jennifer found a cheaper solution to grabbing a Starbucks and getting take-out every night. She was still able to have a morning coffee, and didn’t spend an hour making dinner every night. However, she wasn’t breaking the bank by eating out as often. As much as some of these concepts might sound foreign to you, as you receive your first few paychecks, you’ll find yourself having thoughts similar to these. Whether it’s a new suit, moving apartments to relocate, buying a new car, etc., you’ll find yourself having to make a tough decision. Do you spend your entire paycheck on things you could do for cheaper, or do you find a way to live a little cheaper and save a little more. By saving a little more and sacrificing your morning coffee, you’ll gain much more in the long run. The average latte at Starbucks will run you right around $4. If you have one every workday, you’ll spend $20 a week on coffee. With four weeks in a month, you’ll have spent $80 every month on your coffee habit. Multiply that by twelve months in a year and you’ll have spent almost $1000 on coffee alone. That doesn’t take into consideration if you buy anything else while there, like a muffin or scone. Oh, and plenty of drinks at Starbucks are more than $4. Consider if you decided to save that money every year, by putting it into a retirement account or even a high-interest savings account like a money market account. Assuming the average interest percent for an account like this is 8%, at the end of one year, you’ll have additional $80 you didn’t have before. In five years, you’ll have $5,866. Let your money work for you. We understand that saving isn’t always the easy thing to do. And we aren’t asking you to live on Macaroni and Cheese and Top Ramen for the rest of your life. But consider sacrificing something each month, like your Starbucks coffee or high-end clothes, in order to see your money grow for you to use at retirement. A few years ago, a group called AICPA (American Institute of Certified Public Accountants) got together to campaign about saving. They put together a program entitled “Feed the Pig.” Their hope was that making the importance of saving more aware for people (especially young people), they would see an increase in the popularity of saving. To visit their website, click here. Today the “Feed the Pig” Campaign continues with a great online website. There are great resources on this website to help you start thinking about and understanding the importance of saving for the future. They have everything from calculators to daily saving tips. The website features a “5% Challenge” where they walk you through your current income to debt ratio and help you determine just how much you can afford to save each month. They also show you where perhaps you splurge a little too much or where you could cut back to help with savings. Although these are all principles we have discussed and talked about, the great thing about this website is the hands-on approach they give to saving. They also offer weekly podcasts on various financial topics. The most recent topics covered include “Financial Issues for Women,” “Getting Credit Now,” “Fraud and Fraud Prevention,” “Job Loss,” and “Choosing the Correct Bank.” Based on the topics, you can get great information about financial topics relevant to you. All of their podcasts are archived as well, so you can listen to them anytime if you missed the live broadcast. To see a complete list of the thirty podcasts or to listen to one, click here. The “Feed the Pig” Campaign also offers general everyday good savings tips to help you change your daily habits to become a more efficient saver. They currently have simple tips about eating out, buying make-up, phone plan overages and premium cable. These tips give you better options for still enjoying these kinds of indulgences without breaking the bank. This is a great website to get you started and in the mood to save. Spend some time perusing through their links and tips to help you become an expert saver. Retirement isn’t just about saving. It is about choosing to put your money in the right places. If you were to put your money in a traditional savings account, you wouldn’t see quite the return as if you invest in a 401k or IRA. Let’s talk a little bit about why. First there are interest rates to consider. When researching different savings account interest rates online, there is not one that was over 1% interest. Most were .9% or even .5%. There are even some savings accounts that do not give you interest based on the principal. Some savings accounts only work on simple interest, while others work on compounding interest. So, putting your money in these types of accounts is safe, but you won’t see much of an overall gain in your money. Like we said, the traditional savings account is completely safe, because you can never lose money that way. So then the question becomes, where does my money go and how do I improve my interest rate. When you choose to invest in a 401k or IRA, a company takes your money and invests it in different areas of the financial market. These include stocks, bonds, mutual funds, etc. So who decides where the money goes? Essentially you do, but not exactly. If your employer set-up your retirement, then they will take money from your paycheck each month – an amount that you’ve determined. No one at your company does anything with your money, other than send it to another company. Your employer will most likely have hired a separate company to handle all retirement. This company can be one of three kinds of companies. They can be a mutual fund company, a brokerage firm, or an insurance company. A mutual fund company is something like Fidelity, Vanguard or T. Rowe Price. A brokerage firm is something like Schwab or Merrill Lynch. And an insurance company is something like Prudential or MetLife. Regardless of what kind of company is handling your retirement, they will all do the same thing. They will take your money and invest it in various places. You determine the places they invest in. When you first set up your retirement you will decide between having a low, moderate or high-risk portfolio. By making this decision, you will have told your retirement planner where you’d like your retirement funds invested. The difference between these portfolios has to do with the different types of accounts where a retirement company can place your money. Generally the most risky are the stock market. You’ll see more ups and downs in the stock market than traditional bonds or even mutual funds. The more risk you want, the more of your money will be placed in stocks. These accounts have great potential to bring high rates of return, but also have potential to lose you great amounts of money if the stock market tumbles. A low risk portfolio means that you would like your money in places that have little risk of losing your money. You’ve chosen this route perhaps because you would rather be conservative with your retirement funds. There is nothing wrong with a low-risk portfolio and especially the closer you get to retirement the more low-risk you want to be. Since losing a large chunk of your retirement a year or two before you plan to retire is devastating. So what’s the drawback of having a low-risk portfolio? You don’t have as great of a return as and the moderate or high-risk portfolios. From 1970 until 2012 the average return was 8% on a low risk portfolio. In that same time period, the best return low risk portfolio’s saw was 22.8%. Unfortunately there will always be some risk involved in these types of accounts. The worst return a low-risk portfolio saw in those forty years was -4.6%. Without looking at either end of the spectrum, but considering the averages from forty years, 8% is still much better than the 1% you would have received from saving your money in a traditional savings account. Now, let’s look at a moderate-risk portfolio. With a moderate-risk portfolio we’ll consider the same data. From the years 1970-2012 the average return was 9.6%. The best return a moderate-risk portfolio saw in those years was a 30.9%. And of course the worst return a moderate-portfolio saw was -20.9%. These numbers are substantially different from what we saw with low-risk portfolios. However, again consider if your money had been invested in a traditional savings account rather than your medium risk portfolio. Overall you’ll still receive a better return, even with a few bumps in the road. And finally let’s consider the high-risk portfolio. The average rate of return for a high-risk portfolio from 1970-2012 was 10%. The best return a high-risk portfolio saw in those years was 39.9% and the worst was -36%. Again there are a few dramatic differences between the high, moderate and low-risk portfolios. So how do you decide which portfolio to choose? Well let’s consider three different individuals and their strategies toward retirement. Brett is investing $5000 a year into his retirement. For the sake of our experiment, he won’t ever change that amount, even though in reality he probably would invest more as time went by. Brett chooses to invest in a high-risk portfolio and keeps it high-risk until retirement. So let’s do the math. If Brett has a ten percent compounding interest rate over 40 years (we are assuming he is 25 years old and wants to retire at 65), contributing $5000 a year, when he retires he’ll have $2,209,422. Not bad, right? However, unfortunately for Brett, when he is 64 years old, he sees the worst return a high-risk portfolio has ever seen. So instead of the $2.2 million he would have seen, Brett instead finds himself at 64 years old with $1,282,577. Because of his high-risk, he lost almost $1 million dollars. So the question becomes – is it worth the risk? Let’s consider someone else. Rob decides he wants a moderate-risk portfolio. He also invests $5000 a year for the entire duration of his pre-retirement years. He also decides to keep his portfolio at moderate-risk until he retires. So let’s do the math. After 40 years at 9.6% compounding interest, Rob will have $1,982,349. He almost has two million dollars saved. But unfortunately for Rob, the year before he retires, his moderate-risk portfolio sees the worst return a portfolio like his has ever seen. So at 64 years old, one year away from retirement, Rob sees his portfolio drop to $1,427,099. He basically lost $500,000 to the financial markets. So is this where you’d rather put your money, to have a little less risk? Now let’s consider Alice. Alice decides that a low-risk portfolio is the way for her. She also invests $5000 a year until retirement into her low-risk portfolio. So here we go again, let’s do the math. With an 8% compounding interest rate over 40 years, Alice will have a retirement fund worth $1,293,210 at age 65. But just like our other two friends, that last year before retirement is a downer and she loses -4.6%. So recalculating her funds, Alice now has $1,137,925. Essentially, Alice only lost about $175,000 even though $1.1 million is the lowest of the three accounts. Okay, so finally let’s consider Arthur. Arthur will also contribute $5000 a year to his retirement fund. However, Arthur decides to pay close attention to his retirement fund. He knows that he has 40 years to save for retirement, so he decides to split up the time between the three different portfolios. For the first 15 years, he decides to keep in his money in a high-risk portfolio. Then he’ll move his money to a moderate-risk portfolio from age 40-55, another fifteen years. At age 55, he decides to place his money in a low-risk portfolio. So now, let’s do the math for Arthur. After Arthur’s first fifteen years in a high-risk portfolio, he has $158,608. These first fifteen years, Arthur will see a rate of return at 10%. Doesn’t sound like too much, but let’s keep doing our math to see how his money will grow. After an additional fifteen years with a moderate-risk portfolio, Arthur now has $780,977 in his retirement fund. Arthur’s rate of return on his moderate-risk portfolio was 9.6%. Now Arthur moves his money into the low-risk portfolio. After ten more years in the low-risk portfolio, Arthur now has $1,758,387. But just like the other three, that last year Arthur’s rate of return drops to -4.6%. After adding in this calculation, Arthur is now sitting with $1,674,501. Arthur is our winner with $1.6 million dollars saved for retirement. Very few people will keep their retirement in one type of portfolio the entire time. The above examples were to help illustrate for you the risks of each type of portfolio. It will be completely up to you to decide how you want your money invested. You can change the type of portfolio with your retirement representative when you are ready. The majority of people start their retirement saving with a high-risk portfolio and then end with a low-risk portfolio. This doesn’t mean you are required to do it that way; it is just what is most common because it has proven to gain the most money. As you can see, choosing your portfolio can be something of a gambling game, but then playing with the stock market always is. If you choose the high-risk, you chances of a greater return in the end are much higher; however, you also run a greater risk of losing higher amounts. With the low-risk portfolio, you won’t see as much gain, but you won’t see as much loss either. It can be difficult making decisions about your retirement fund. Use the advice and counseling from your retirement planner. They will give you good advice to help you achieve the best retirement portfolio. We have discussed some of the tax benefits provided to you if you open a retirement account and contribute to it regularly. But let’s talk about them in greater detail to ensure you understand how these benefits work. To see more information on tax brackets, and to determine which tax bracket you belong to, click here. So depending on your tax bracket, and your paycheck each month, the government takes its portion from your paycheck. However, if you choose to contribute to a retirement fund, this money is taken from your paycheck before taxes are removed. Therefore, the total amount on your paycheck is that much lower, causing you to pay less in taxes. For example, let’s say your taxable income is $60,000. This places you in the 25% tax bracket. So essentially for every dollar you contribute into your retirement fund, you save 25¢ in taxes. So if you choose to contribute $500 a month in your retirement plan, you’ll have saved yourself $125 that you would have paid in taxes otherwise. And remember, this happens every month, so by the end of the year you will have saved yourself $1500 that you would have paid in taxes to the government. If you continue to raise your contributions each year, but you only raise them a percent or two, you’ll find that your actual take home pay barely changes because of the tax benefit. Take the following instance into account. The first year you contributed, your taxable income was $60,000 and you contributed $500 a month into retirement. Next year, you make $65,000 and decide to raise your contribution to 11%. (Note: Last year, you contributed 10% to your retirement.) So now you are contributing $7150 annually or $595.83 each month. Last year, you saved yourself $1500 dollars in taxes, and this year, by the end of the year, you’ll have saved $1787. You have slightly increased your monthly salary, but you’ve also contributed a $1,150 more into your retirement than you did last year. It may not seem like much now, but remember the exercises we did with compounding interest and over time that extra thousand can turn into ten thousand. If you figure that for each year you get a raise at work, you raise your contributions to your retirement. When this is the case, you’ll find that your paychecks still increase and your retirement account also becomes fatter. Let’s consider another tax benefit from investing in your retirement plan. Let’s talk about traditional IRAs (Individual Retirement Accounts) and Roth IRAs. With a traditional IRA there are two different types – and one type is a tax deductible IRA. Essentially a Deductible IRA works a lot like contributing your money with pre-tax dollars, only you don’t see the savings each month, but instead at the end of the year when you prepare your taxes. With a deductible IRA, you make your contributions with post-tax dollars, so each month you will be taxed on all of your income, including that which you plan to put into your retirement. However when you prepare your taxes each year, you’ll be able to total the amount you contributed to your Deductible IRA and use it as a standard deduction on your taxes. This decreases the taxable income for the year, either helping you to receive money back from the government or pay less if you end up owing. If you have no retirement plan offered to you at work and you are under the age of 70 and ½, you qualify to invest in a Deductible IRA. You can also deduct every dollar you contribute from your annual taxes. If you are offered a 401k or other type of retirement plan through your work you can still qualify for a fully or partially deductible IRA. There are income limits that determine how much of your contributions you can deduct. In 2013, the deductions are completely phased out for a single person making $69,000 a year. If you do not have a retirement plan available to you, but your spouse does, you may still qualify for a fully or partially Deductible IRA. If you file your taxes jointly, the income limit is $188,000 for 2013. By understanding these three principles, you can determine if you qualify for a Deductible IRA, whether your contributions are fully deductible or partially deductible. A third tax benefit of contributing to a retirement fund is that you money grows tax-free. As opposed to any other savings account, stocks, mutual funds, etc., you never have to worry about paying capital gains tax on the money you have put into retirement. We have talked about the different risk types of portfolios, which helps you see the type of interest you will earn as your money grows. Typically, when you invest in a mutual fund, every year you’ll receive a statement indicating the amount of money you have earned or lost in addition to your initial contribution. If you have gained money, the government will tax that amount as capital gains – or money gained on top of your working salary. When you file your taxes in April of every year, you’ll pay this tax. In contrast, with retirement investments, you don’t need to worry about the extra money you earn every year. When you start withdrawing your money, you’ll most likely pay taxes (unless you have a retirement plan that specifies otherwise), but this is the typical income tax rather than the capital gains tax, which is generally higher. Like most other taxes, the amount you pay is determined by your tax bracket. Let’s look at an example. Damon decides to invest his money in a mutual fund for his retirement. Every year he invests $5,000 from the time he is 25 until the time he retires (40 years). Damon will receive an average of 10% return on his mutual fund each year. So the first year he will make and additional $500 to add to his $5000. But when April rolls around, Damon owes the IRS capital gains tax on the $500 he earned. He doesn’t owe any taxes on the initial $5000, because that investment was made with dollars that had already been taxed (i.e. from his paycheck). Thus, Damon must report the additional $500 of income for the year. He will then pay capital gains tax on his earnings. Although the percentage can differ based on your income tax bracket, for our example, we will use 15%. So the government then takes its share of your earnings – $75. So in reality, Damon really only made $425 during the course of the year instead of $500. Now let’s consider Dustin who decides to invest his $5000 a year into a retirement portfolio. For the sake of our example, he invests in a portfolio with an average 10% as his rate of return. At the end of Dustin’s first year, he will also have $500 dollars in addition to his $5000, only Dustin doesn’t have to claim his earnings on a tax return in April. So essentially Dustin really made $500. Now when Dustin retires at age 65, he will pay monthly income tax on the monies he takes from his retirement fund, but his income tax will amount to a number much smaller than forty years of paying the capital gains tax. These three tax benefits are great tools to reduce your taxes every year while also saving for retirement. Each retirement account will have a different combination of tax benefits, so it’s important to ask questions about the tax benefits and ensure you understand what is being communicated to you. In many instances, a retirement representative will refer you to a tax consultant for more detailed and accurate information about the tax benefits associated with a plan. Many of us don’t stay with the same employer from our first day of employment to our last day of employment. So that presents an issue about retirement funds. If you begin saving with your current employer, but then decide to switch employers, what happens to that money you saved with your previous employer. Do nothing. If you have more than $5000 in your retirement account, your employer must allow you to keep it. If you have less than $5000, you’ll need to use one of the other options. By leaving it alone, you still reap all the benefits of having your money invested. The biggest drawback is that you can no longer make any contributions to the account. In order to make contributions to any employer-sponsored retirement account, you must receive a paycheck from that employer. Still, if you do nothing, that money will still be available to you at retirement, however much it has grown between the time you leave the company and the time you choose to retire. Cash it out. Albeit not the best option, but an option nonetheless. If you are under the age required by your type of account to withdraw funds, you will pay income tax as well as the 10% penalty if you cash out your retirement fund. Thus, this is probably the option you should choose if the other two are unavailable to you. Move your money into you new 401k or a rollover IRA. With your new employer hopefully you’ll start a new retirement plan. When you start your new retirement plan, you can request to have the two accounts merged. This is the most common option. If you aren’t offered a retirement package with your new job, you can still open a rollover IRA on your own and have the money transferred. This allows you to continue to make contributions to your account. It is strongly advised that you seek knowledgeable, educated retirement professionals before completing this process. The two retirement accounts must be merged by the retirement companies and not by you. If for any reason you end up receiving a check from your former employer or your first retirement company, you could see taxes and penalties surface because the IRS sees this as an early withdrawal. Having the companies complete the transaction is called trustee-to-trustee transfer. Essentially it means that you never saw or touched the money and only the institutions did. 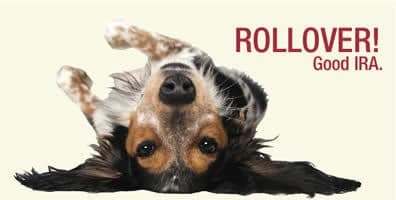 A rollover process combining two retirement accounts is non-reversible, so again consult proper advisement – a retirement advisor as well as a tax consultant – before making any type of decisions regarding the two accounts. Generally, those working in the retirement profession are out to help you not make mistakes or do something that would cost you in the long run. Ask plenty of questions and be knowledgeable about what is happening to your money. So what are some advantages and disadvantages to the options above? Well perhaps it is obvious that cashing out your retirement isn’t the best option. The money that you’ll pay in taxes, fees and penalties would be far from worth the extra cash unless it is absolutely necessary – and a new flat screen television is not a necessity. Leaving your money alone is a completely viable option, one that many people choose, but the more retirement accounts you have open, the more complicated your retirement savings becomes. You very well may switch jobs again leaving you with a second retirement fund where you can no longer contribute. By the time you actually retire you could have five or six different retirement accounts with various amounts of money. Is this always a bad thing – not necessarily. If you choose to set up your accounts with different risks, you may find that you end up with more money. By having your money in multiple places, you lower your overall risk of losing a larger portion of your money, but instead only run the risk with smaller portions. However, for the most part, people do not want their retirement savings to be complicated. They want a simple contribution to come out of their paycheck each month and then they don’t want to think about it again. Maybe once a year or so, you’ll receive a packet from your retirement agency, showing you how your retirement is doing. Some people don’t even want to take the time to look through that, let alone keep track of six different accounts. The simplicity of it all is probably why the majority of people roll their accounts together. It is becoming more and more popular to roll an old 401k into a rollover IRA rather than a new 401k. The process of rolling two 401ks together is a long and complicated one. The two accounts must have the same tax benefits outlined in their terms and conditions. There are other stipulations as well that both accounts must agree on in order for the rollover to take place. In addition, the waiting period and paperwork processing can sometimes take months, meaning your money sits in limbo not accumulating any interest. With a rollover IRA, the process is much simpler and there are very few rules or regulations that must be met in order for the 401k money to be transferred. An IRA allows you to still contribute to your account as you see fit. Of course there are contribution limitations with the new IRA, but you should easily be able to find one that will best fit your needs. Your new job may offer a 401k retirement plan, but instead of rolling your old 401k and new 401k you elect to take the old 401k and roll it into an IRA. Then you’ll need to make the choice of whether to still utilize the 401k with your new job or only contribute to your IRA. There are many things to take into consideration with this decision, such as the matching policy. If your company matches your contributions it would be wise to contribute into the 401k in order to take advantage of the matching policy. Your company won’t acknowledge your IRA in the matching agreement. If you were to change jobs again, you could take the money from the 401k at the second job and roll it into your existing IRA. Then depending on your next place of employment you would have a retirement plan regardless of what they offer. However, at any given time you would only have two accounts to keep track. Having multiple retirement accounts is not a complicated venture if you take the proper steps to ensure you have your money in the places you want it. Take your time, do the research, talk to the right people, and don’t be afraid to ask questions as you decide what is the best route for you. Saving for retirement can seem very complicated and overwhelming, but with even a simple understanding of the different types of accounts, risk options and the principle of compounding interest, it is not hard to make well-informed decisions regarding your retirement planning. Developing a Basic Knowledge and Understanding: Understanding the type of accounts that are available and the details associated with that plan will give you a great advantage, as you start saving young. Knowing things like the annual limits, income salary limitations, tax benefits, etc. all give you an edge over those that don’t understand a thing. By having a basic knowledge of the details each plan has to offer gives you the ability to find the best plan for you in whatever circumstance you may find yourself. Talk with parents, relatives and friends who are retired or near retirement for advice. Ask them if they could do anything differently what they would have done. In many cases, you’ll find that their advice is very helpful as you start to save for retirement. Develop an Attitude of Saving: Developing an attitude that includes saving in your monthly budget will help you to be prepared for all aspects of life including retirement. Saving is a key principle to having financial success and stability. Decide to Start with your First Paycheck: Included in your attitude should be an understanding of the importance of starting with your very first paycheck. It is far too easy to convince yourself that you’ll be in a better position in a few years to start thinking about retirement. Having this type of attitude will delay your savings as well as decrease the total you’ll have saved by a significant amount. As we have talked about, even having five more years to accumulate interest can make a big monetary difference in the long run. Utilize the Resources Available to You: It is also important that you utilize the resources that are available to you. When you first sign-up for your retirement plan you’ll meet an advisor that will help you. This retirement specialist is there to help you whenever you need advice about your retirement. Your company pays to have this retirement counselor as an available advisor for its employees. Don’t shy away from using him/her to help and guide you along the way. Although the services of the retirement advisor are not free, they are free to you since your company sponsors your retirement. Become familiar with your retirement enough that you know the right questions to ask. Don’t put all your trust in one person when it comes to your retirement planning. Ask around, research online, advise with your tax consultant, and speak with your retirement representatives. Let all of these people and things help you in making your decisions concerning your retirement money. Contribute and Let it Grow: Having the self-control to leave your money alone as it grows is something everyone needs to master. We have talked extensively about the drawbacks of removing your money before the appropriate age, but it is something that far too many young people do not consider as they see large sums of money accumulating in their retirement accounts. The penalties for removing your money before retirement are steep and not worth the loss. Take Advantage of Matching Contributions or Other Employee Benefits: When your employer offers to match your retirement contributions, take advantage of it. Not all employers will match, but many will and by utilizing this option you receive “free money” from your employer. It is almost as if they are giving you that bonus every year. Your bonus isn’t accessible to you now (see #5), but in forty years you’ll be thanking your boss for the extra additions to your retirement fund. Understand the Benefit of Compounding Interest: We spent ample time talking about the difference between simple and compounding interest, but the importance of understanding this principle is vital to understanding the benefit of starting early. Remember that time is your friend as you start your retirement savings. Maximize your ending balance by utilizing the time you have until retirement. Know Your Needs & Make a Goal: Earlier we talked about ways to determine your specific needs at retirement. Find the golden number that fits your lifestyle and comfort of living. Once you have this number, set your goals and don’t stray from them. Don’t let anything convince you that retirement can wait. You know better than anyone else where your weaknesses are in the budget; don’t let your retirement be one of them. It is also important to understand your life expectancy to help you know how long you will need retirement benefits. With every generation, we are living longer than our parents and grandparents. Fifty years ago when people were planning for retirement, they didn’t expect to live past their mid-seventies. Thus they only needed ten years or less of retirement savings. In addition, because we are living longer, the early years of your retirement may include more active and expensive things earlier generations would never have dreamed of doing in their sixties, let alone their seventies. Earlier generations felt that they could live comfortable on 50-60% of their pre-retirement income. Essentially that may not be enough for you. By pre-determining your needs and setting a goal, you’ll find yourself feeling excited and prepared for retirement, rather than apprehensive and ill equipped. Don’t Rely on Anyone But Yourself: The government may and or may not be there to help you during retirement. If it is there, don’t count on the numbers they are telling you now. There are calculators online to determine your Social Security benefits, but never trust the numbers you see. The government doesn’t know how it is going to reform Social Security over the next ten or twenty years, but simply understand that the contributions you are paying into Social Security now, you may never see again. Take Advantage of the Tax Benefits: It’s okay to be greedy when it comes to your retirement savings. Every dollar counts in retirement savings and the last person you want taking your dollars is the IRS. By setting yourself up with a plan that offers pre-tax contributions, you are instantly saving yourself money that you would have paid to the IRS. And if at all possible, get yourself an account that grows tax-deferred as well. So although you will pay income tax when you remove the money, you have more money sitting in your account through out the years, which continually builds you more and more interest. Again, be greedy and take every penny and dollar that you can get as you save for retirement. Retirement does not need to be an added stress in your life, but it should be on the priority list. It is something that you cannot and should not ignore now that you are entering the job market and making your stand in the world.